Did you say Cancer? OMG !!! Being diagnosed with cancer comes with a large share of traumas. One of course is about your physical being- the treatment you may need to go through, the prognosis, the cost of the medication which really isnt that easy on the pocket, and the statistics about survival rates. All these play on our minds, making the diagnosis the scariest thing ever. Another important thing attached with cancer is the social stigma attached to it. Dad was diagnosed with colorectal cancer in Mar 2010. At the onset itself the doctors made it clear to us that colorectal cancer at an advanced stage doesnt have a promising future. But nevertheless we could try surgery followed by a couple of rounds of chemotherapy to help fight the diseases. When the news spread among our relatives and friends, I was suprised at some of their reactions. A particular relative of ours, came out with this statment ” Oh he has cancer, so his life is cancelled.” i was like Whattttt!!!!!!! please give him a chance to fight it out. I mean I know it is a terrible disease, but we need to sometimes also be positive guys. For a few other people, dad’s diagnosis was a juicy piece of gossip. Their notion was that, he got it cause that was his fate and he must surely have done something “not so good” in his life to get it. To add to this thought of theirs was that they would never contract this ailment as the are blessed souls. Well to all these people, my dad fought the disease with a bang. With an intial prognosis of just 2 months more, he defied all logic and fought for 5 years. However, a wounded soldier he is now and is living his last few days. He is a fighter what a fighter he is. Too many people in my family have been diagnosed with cancer. I lost my own father to cancer a few years ago. I think you are amazing for sharing this. I don’t know why people get so scared when you mention the word cancer. I wish nothing but th best forgot and your family. 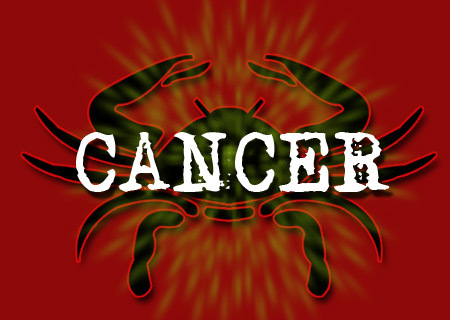 In essence, the reality of cancer is a living waking nightmare. I empathize with those who have been diagnosed with cancer and also the family who must endure. Keep fighting the good fight!